Book Now and you will receive a $25 gas card on arrival. While stocks last. Limited supply. 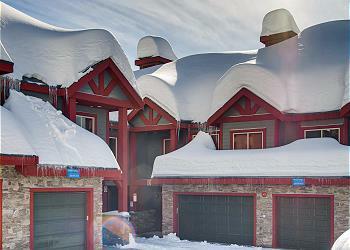 Snowbanks 3 is a beautiful luxury residence in Big White offering a queen bed in the master and the second bedroom and a single-over-double bunk in the third. 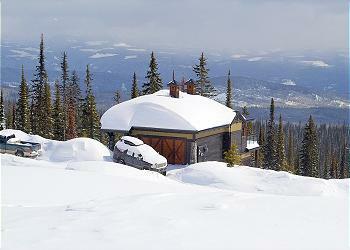 Excellent ski access, ski locker, private hot tub, heated garage. Silver Tip 6 is a spacious residence offering a king sized bed in the master bedroom, queen in the second and two single beds in the third. 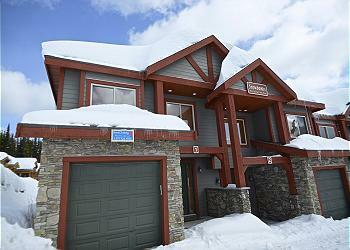 Direct ski access, garage, private balcony, hot tub, fireplace. Longhorn Lodge, a stand alone residence at Big White boasts three bedrooms with ensuite bathrooms, a queen bed in the fourth and bunk beds in the fifth. 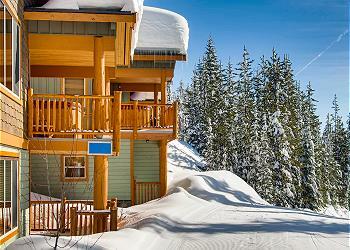 Private balconies with barbeque, hot tub, amazing mountain views, ski in/ski out access. Snowbanks 6 is a beautiful residence featuring a home theatre, private sauna, pool table and so much more. Comfortably designed to accommodate multiple families. Direct ski-in/out to 3 of the Big White lifts.